One of the most basic tasks performed by smart gadgets is controlling when something turns on and off. Smart plugs Which Smart Plug Is the Best One for You? Which Smart Plug Is the Best One for You? Even if you aren't into the whole smart home automation trend, you really should get yourself a few smart plugs. They're one of the easiest smart home products to use. Read More – like the Belkin WeMo 3 Ways The Belkin WeMo Can "Smarten" Your Regular Household Lamps 3 Ways The Belkin WeMo Can "Smarten" Your Regular Household Lamps We took the time to look at the possibilities for turning your regular household lamps into smart lamps. Read More and the army of copycat devices 6 Smart Plugs That Aren't Belkin WeMo 6 Smart Plugs That Aren't Belkin WeMo Read More that followed its release – are the best known examples of that. But what about devices that don’t use power connections, but instead require batteries to work? Well for those, there are smart batteries. I looked at three of the leading brands of smart batteries. Here’s how they work, and whether you should take the plunge and get one. There aren’t too many consumer-oriented smart batteries on the market right now. Of the few that exist, TetherCell is the most promising one, and perhaps the most intriguing. Like many consumer tech products these days, the TetherCell is the product of a successful crowdfunding campaign Why Hardware Startups Are Hard: Bringing the ErgoDox to Life Why Hardware Startups Are Hard: Bringing the ErgoDox to Life Here’s a controversial opinion for you: launching a software startup is easy. Hardware, on the other hand? Hardware startups are hard. Really hard. Read More , where it raised over $85,000, smashing its initial goal of $59,000. It has since became available for general purchase, and can be bought on Amazon on both sides of the Atlantic, as well as from their official website. 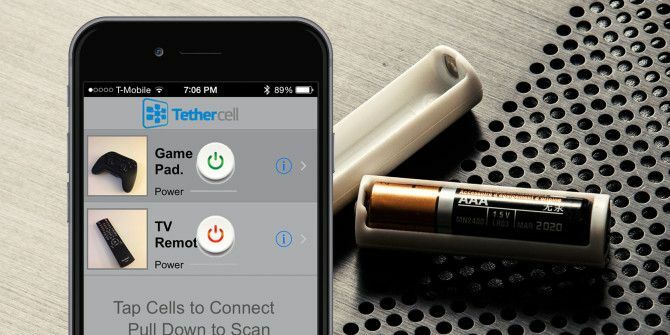 The TetherCell is a pretty clever device. It’s essentially an AA battery adaptor, which contains a smaller AAA battery. 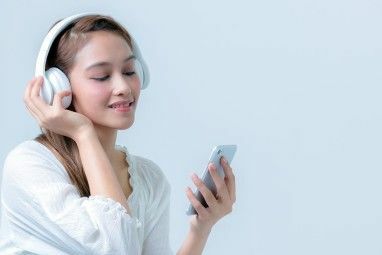 The extra space is used to contain a bunch of small, power-sipping electronics that interface through a companion app, available for Android and IOS. As you might expect, the TetherCell allows the user to remotely deactivate battery powered devices, and to check the battery level. In addition, the user can also set timers for electronics, in effect limiting the time they can operate for. One potential usage of this is in parenting. If you want to limit how much time your child is spending on their game consoles, you could just fit their controllers with a Tethercell battery, and only allow them to run during certain times. If your child has been grounded, you can deactivate them completely. At the time of writing, Amazon US and UK have ran out of TetherCells. However, you can buy them through their official Shopify account. Two Tethercells cost just $55, while you can purchase four for $74. If the Nest Protect Nest Protect Review and Giveaway Nest Protect Review and Giveaway Read More is a little bit out of your price range, but you still want a smart smoke alarm, you might want to consider installing a Roost Smart Battery in your existing “dumb” alarm. The Roost Smart Battery, which Ryan Dube reviewed last year Smoke Detector Battle: Roost Smart Battery Vs Nest Protect Smoke Detector Battle: Roost Smart Battery Vs Nest Protect Once you see how the Roost Smart Battery and the Nest Protect stack up against one another, you'll wonder how you ever got along without either. Read More , is the size of a standard nine volt battery, connects over WiFi and promises to last over five years before needing to be replaced. It shares much of the functionality of its more expensive smart smoke detector brethren. Not only does it tell you when the battery is close to being depleted, but it also allows you to silence false alarms through the mobile app. This is handy if you’re prone to burning the toast! Better yet, when the Roost Smart Battery senses trouble, it’ll send a notification to your smartphone. Since it uses WiFi, not BlueTooth LE, this works even when you’re not in range of the alarm. So, how much for all of this? Well, a single battery costs just shy of $35, making it an expensive proposition (but still less expensive than buying a full fledged smart alarm Smoke Detector Battle: Roost Smart Battery Vs Nest Protect Smoke Detector Battle: Roost Smart Battery Vs Nest Protect Once you see how the Roost Smart Battery and the Nest Protect stack up against one another, you'll wonder how you ever got along without either. Read More . This is especially true when you consider that it cannot be recharged, and must be discarded after use. One of the biggest problems faced by people who work in engineering and construction is tool theft. It’s not uncommon for work vans and building sites to be broken into, and pilfered tools making their way on to Craigslist and eBay, where they can earn the thief a substantial profit. DeWalt, a major American manufacturer of power tools, has launched a smart battery that might help fight that. 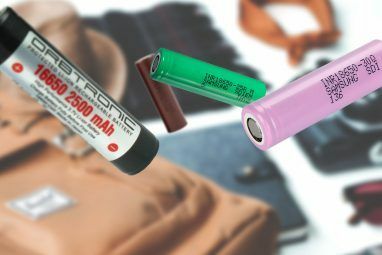 The latest version of their 20V Max 2.0 Amp and 4.0 Amp Lithium Ion batteries, released at the tail-end of 2015, connect to an Android and iOS app over a BlueTooth LE connection, and incorporate a number of intriguing anti-theft features. Firstly, they can be set up to only work while in range of a paired mobile device. When they lose that connection, the mobile batteries will automatically shut off until the connection is reestablished. Finally, the user can disable all paired devices at the end of a work day, rendering them unusable until they are reactivated. These batteries have a number of other features that will prove to be useful on the building site. Through the mobile app, the user can check if the battery is overheating, or whether it needs to be recharged. The batteries also incorporate an LED which can be prompted to flash when the user needs to identify a specific tool. These features come at a premium though, and a two-pack of the 20V Max 2Ah batteries costs $139.00 on Amazon. You could get a vastly more capacious “dumb” battery for that price. The smart home field is very much in its infancy, with smart batteries being no exception. There just aren’t that many products on the market right now. Perhaps as a result of this nascence, smart batteries have some pretty major drawbacks which should make prospective owners think twice before they part with their money. Let’s start with the biggest, and most obvious drawback. Smart batteries aren’t that great as batteries. That’s because they, by design, contain less space to contain the charge-holding chemicals that make batteries tick. Much of the space in smart batteries is occupied with the electronics required to control them, and to communicate with hubs and smartphones. Then there’s also the fact that many of them suffer from serious reliability issues, which the mixed Amazon reviews for the TetherCell will attest to. That’s hardly surprising. The more complexity you add to a product, the more opportunity there is for it to go wrong. The Roost Smart Battery similarly has some damning reviews, the majority of which focus on its perceived lack of reliability. Given that this will be going into your smoke alarm, you might want to avoid using this one. But if you’re not afraid to be a pioneer in a new frontier of smart home technology, and you’re desperate to have a tighter control of your gadgets, smart batteries might be for you. Otherwise, you’re best waiting until the technology matures. Do you use smart batteries? Have you got any smart battery powered devices? Or do you see them as a fad? Let me know about them in the comments below. "One potential usage of this is in parenting." Of course all the little bugger has to do is to replace a Smart Battery with an alkaline one to defeat the whole ruse. "Better yet, when the Roost Smart Battery senses trouble, it’ll send a notification to your smartphone." So you can do exactly what? Call 911? I can just imagine the reaction of the dispatcher when you tell him/her that "My smoke alarm battery told me my house is on fire"